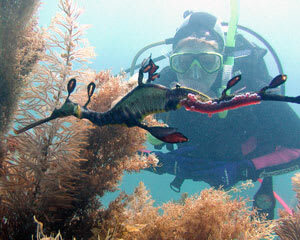 No experience necessary for this introductory scuba dive with the amazing Sea Dragons of the Mornington Peninsula. No certification or past experience is required! No experience necessary for this introductory scuba dive with the amazing Sea Dragons of the Mornington Peninsula! No certification or past experience is required! Scuba diving is easy and this introductory course willl introduce you to the underwater world and some of nature's most diverse creatures. Beautiful soft coral and unique marine life including highly sought after Weedy Sea Dragons are sure to amaze the most inquisitive adventurer. All the time you are under the direct supervision of a highly experienced professional dive team. First you will learn the basic theory behind scuba diving in the comfort of a classroom environment. Next you move to the pool, learning the basics in shallow water to allow you a comfortable transition to the underwater world. Then finally it's time to meet the marine life and see the Weedy Sea Dragon Colony, or Octopus and Seahorse garden. This is an adventure you will never forget! Dry clothing to wear afterwards. Self catering applies so please be sure to bring money to purchase lunch or bring a packed lunch. The group ratio is 4 divers to 1 Instructor or 6 divers to an Instructor with a Divemaster assisting. Ratios are set to maximise diver safety, comfort and enjoyment. Groups are more than welcome and are broken into the correct ratios for the pool and dive component. Only 40 minutes under the water discovering sea dragons, fish, amazing colours drifting under the Portsea Pier left me wanting more. Thank you for the fun day. Great adventure. Staff were friendly. Experience was A+. Thanks again Adrenalin. Its a brilliant website....all the adventures are really cool....i will recommend th is website to everybody i know...Thankyou very much. 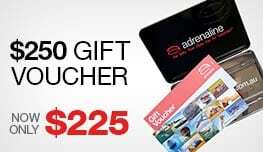 I will recommend Adrenalin and Bayplay to everyone. 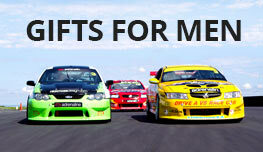 Such an easy way to buy gifts for people and so many different things to do, definitely something for everyone! The best gift voucher i have ever received! !